A notice on public display to give information, find one in your space. I found one at last. 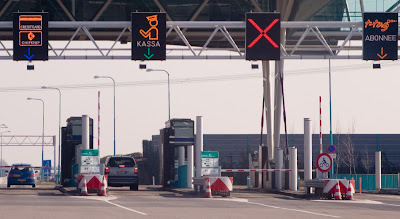 It's the entrance of the place where you have to pay the cash when you drive through the Westerscheldetunnel. Wow, how did I miss this one?? It's fabby to say the least!! Love this photo - thank you for sharing it.